The crests are the hardest parts to find in the stock. We look for them first and rarely find more crest rails in a quantity of wood than the number of chairs such a quantity will make. We select the crest rails so that the growth rings are parallel to a horizontal centerline. This means that we often don't work off the edge of the board. Like most chair parts, the crest is rough cut at the bandsaw. 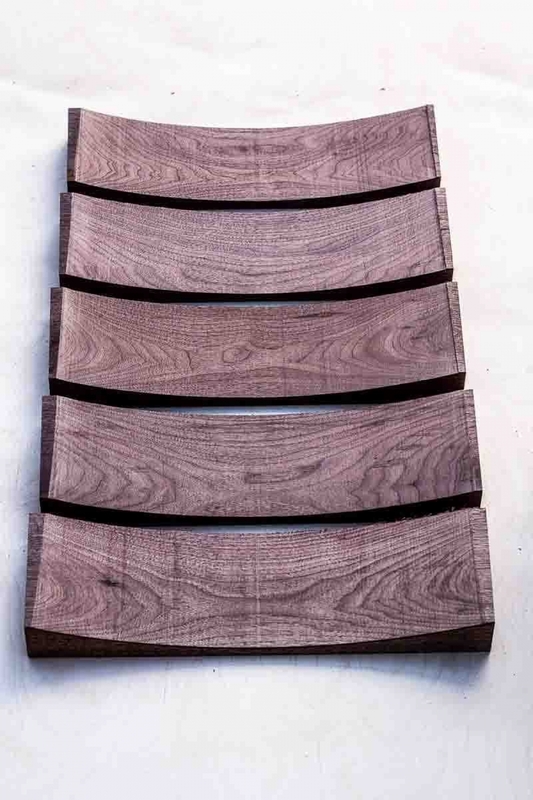 If the growth rings are parallel to the surface of the crest rail blank and the heart faces out when we mark for the cut, lovely and symmetrical parabolas are revealed. We laminate the crest to obtain the necessary curvature. 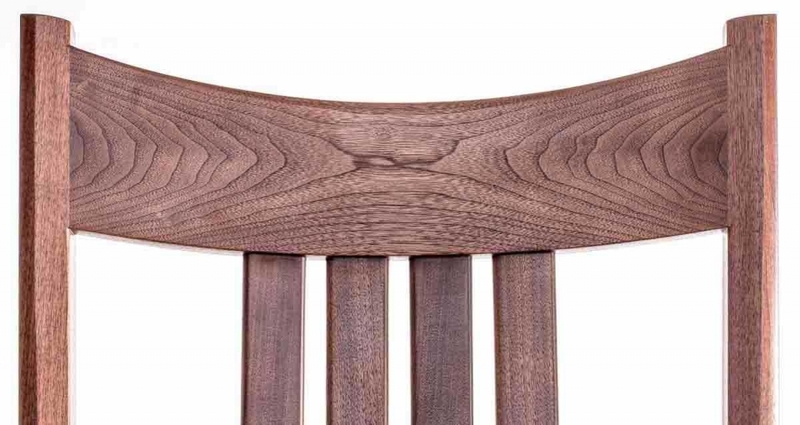 The crest rails of most chairs are too flat for comfort. 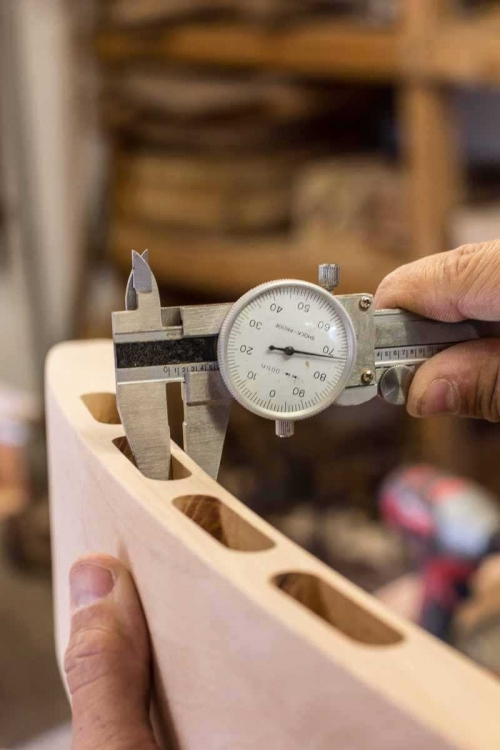 We use a jig and the router to "true" the curves. 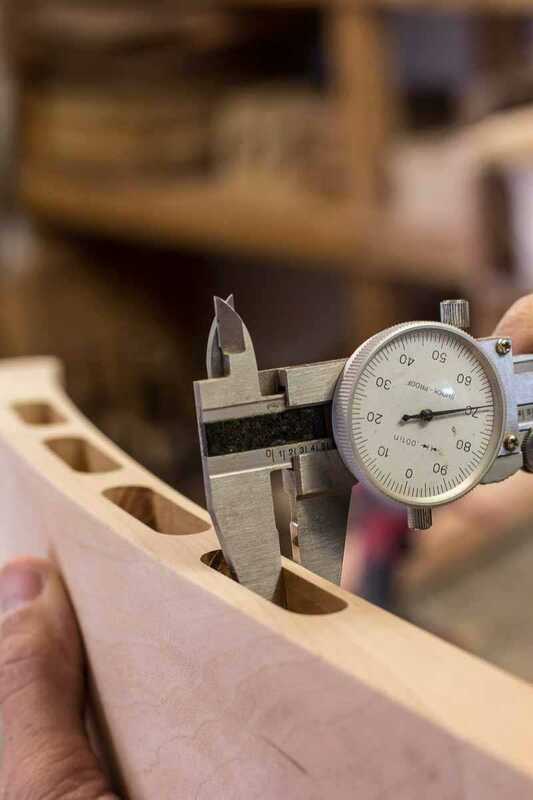 We use a jig to cut the mortises in the crest rail. 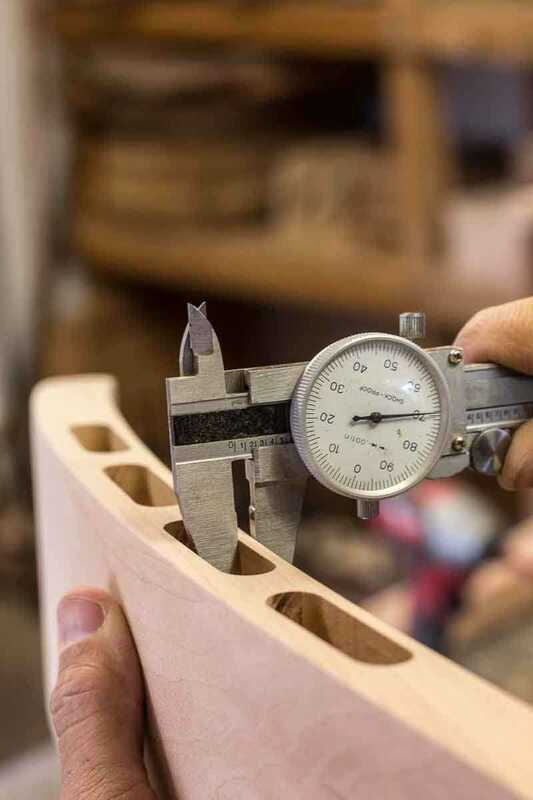 These curved surfaces and mortises are precise. The mortises lie along the curve equidistant from the edge (within a tolerance of .005"). We use a machine we built to sand the concave curves of the crest rail and other parts. I thought I had invented it, but later found out that such machines are common in areas where furniture has traditionally been manufactured. It's called, appropriately, a chair back sander. The crest rail is further--much further--shaped, sculpted, and sanded. 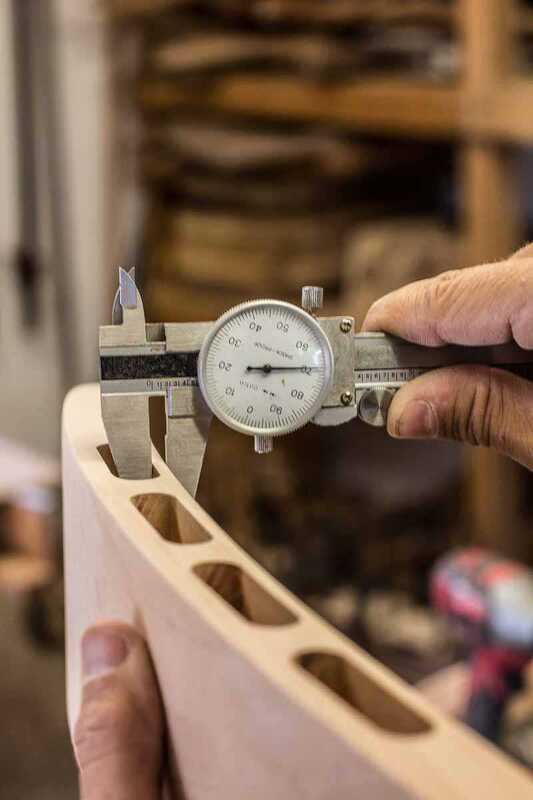 Note the end protectors which allows us to freely work off the end of the crest, or drop it, without smudging the curve or damaging the joining surface. We remove the protectors just before assembly--leaving a crisp, true, clean edge and profile.